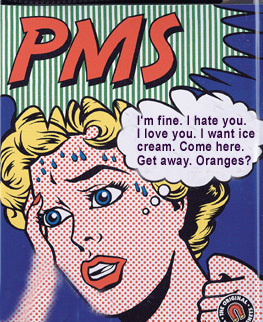 Premenstrual Syndrome! What you can do to help yourself: aromatherapy and life style! Lots of women are affected by this condition and often it even goes undiagnosed and therefore nothing is done to offer relief from anger, irritability, mood swings, depression, fluid retention, poor skin quality, headaches, nausea… The fatigue and fluid retention, that are most commonly associated with the PMS are due to the extra strain in the adrenal and thyroid gland, liver and kidneys, because it is during that time of the month that every woman goes through a natural detoxifying process, resulting in heaviness, especially in pelvic region, acne, spots (since lots of waste is eliminated through our largest organ). Common reasons for PMS is low levels of oestrogen and high levels of progesterone, which happens right before the period. When hormonal levels balance out, physical symptoms dramatically improve also. This hormonal disbalance is actually a primary reason for a post-partum depression. Before giving birth oestrogen levels are at their highest, but after birth – they plummet down. Any shifts in hormone levels can have a profound effect on your emotions, so a good diet is essential, especially during that time of the month and avoiding alcohol is crucial, or you are adding additional burden on kidneys and liver. Eat as much raw food as you can, juice raw fruits and veggies, increase your foods rich in iron, drink lots of spring water with lemon, and walks outside in nature, – all this healthy habits can aid with the elimination process and make it easier on your body and mind. What to avoid – all simple charbs, such as white bread and flour, sugar, chocolate, dairy, coffee, alcohol. What else you can do to help – Aromatherapy to the rescue! Essential oils, as we know are very powerful substances. And can have a profound effect on your psyche, due to their ability to have an influence on our limbic system. Here is my favorite remedy for PMS: in 1oz of evening primrose oil, dilute 6dr clary-sage, 6 dr geranium, 3 drops rose otto and 3 drops chamomile. Use as daily body oil. Here is a recipe for cramps: in 1oz of evening primrose oil, dilute 12 dr clary-sage, 5dr roman chamomile, 5dr geranium, 3 cypress. Massage your abdominal area and lower back.